New Zealand is a young, bicultural nation that offers a unique opportunity to study anthropology in an island nation where two cultures have combined, each influencing the other, yet retaining their individual essence. We examine the historical context of both cultures in New Zealand, exploring what happened with the merging of the two cultures, we look at the bi-cultural issues, & immerse you & your students in contemporary New Zealand culture. We start with theoretical lectures & move quickly into field visits & hands-on experience. Highlights include in-depth interaction with the indigenous Maori culture, starting with a formal welcome & including on-going informal contact. There is also a chance to contrast different tribal areas with an experience of Maori cultural tourism in Rotorua, the birthplace of New Zealand tourism. 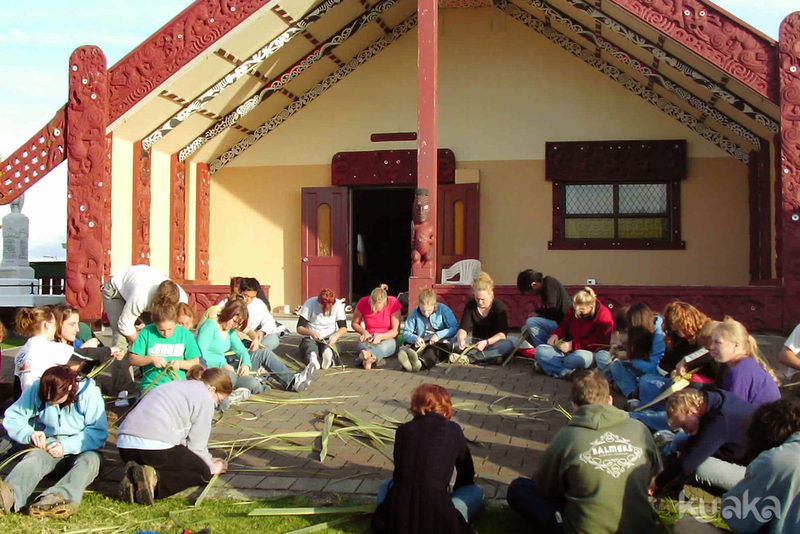 During our programs your group will stay in a cultural learning center in our rainforest & learn of Maori cultural practices, the guardianship that they offer to the land & how their world views have become the global beacon for people around the world seeking answers to how we live with the planet. As part of your time here, you have opportunity for adventure as only New Zealand can do it, exploration of natural wonders & to engage with a people that welcome you here. You will get to feel New Zealanders’ love for the outdoors & ‘can do’ attitude as you meet these warm laid-back people. We will look at how the two main cultures in New Zealand approach environmental management, & the way Maori values and cultural practices and have been integrated into resource management law. New Zealand stands alone in our comprehensive approach to managing our environment. And no trip to New Zealand would be complete without spending time in geothermal areas, where volcanism & tourism have merged - here we look at the vexed question of maintaining cultural integrity when delivering cultural tourism!